Due to popular demand, there is the FaithWeaver NOW printed Student Books for Infants, Toddlers & 2s. This convenient booklet collects of all of the reproducible coloring pages and "Growing With Jesus" take-home pages from the quarterly Teacher Guide, saving you the time and expense of photocopying. What makes FaithWeaver NOW special? No doubt about it, the world is changing. Families used to go to church every week. Kids used to have longer attention spans. Leaders used to have more time to prepare. And didn’t our budgets used to be bigger? Even the Sunday school Bible curriculum you used just a couple of years ago is already out of date. But there’s one thing that’s never changed: the need to grow families closer to Jesus. That’s why we created FaithWeaver NOW™, and it’s different from anything you’ve ever seen before! It combines Sunday school with family ministry. Sure, you’ve seen Sunday school aimed at families. But FaithWeaver NOW actually hits the target by having everyone in the family learning about the same Scripture each week. It’s simpler and easier. Sometimes change is a wonderful thing. Gone are the days when you needed to spend hours preparing your lessons and hunting for supplies. FaithWeaver NOW will have you and your team ready to go in a snap. It's made for NOW. Life is complicated and full of distractions. FaithWeaver NOW keeps faith on track through even the most frenzied lifestyles. What makes FaithWeaver NOW the perfect curriculum for TODAY’s church? · Families learn the same Bible passage in age-appropriate ways. · Kids, teens, and adults don’t just hear the Word. They experience it. · Simple and easy lessons fit even the busiest lives. · People see God in their everyday world. · The Scope & Sequence goes through the Bible every three years. · You can customize it however you like, with both print and digital copies. Create a vibrant family ministry that’s new…that’s wow…that’s NOW. 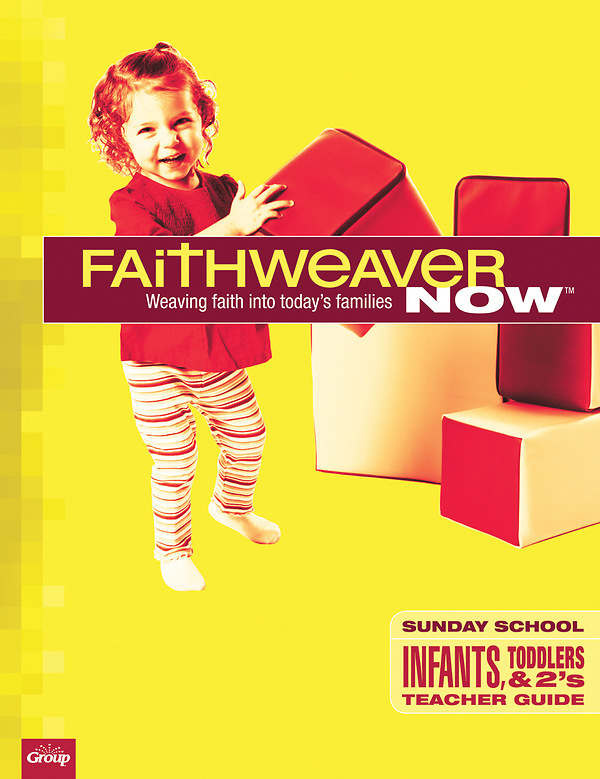 FaithWeaver NOW gives you a fresh strategy for being more successful than ever in bringing families closer to Jesus.